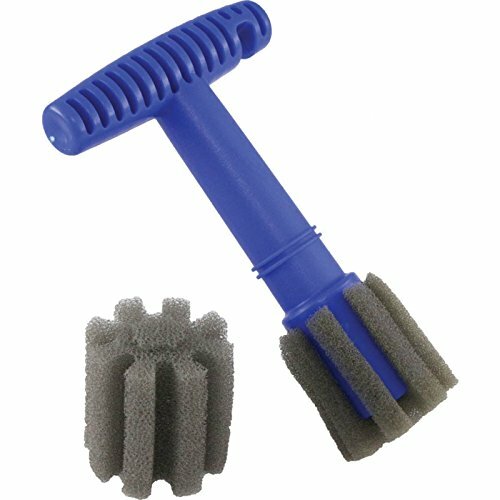 Makes Cleaning Recessed Lug Nut Wheels Quick & Easy Convenient T-Handle Design (Also Notched To Hang On Wash Bucket) Cleans Wheel Cavities From 1-3/8 to 2" With Lug Nuts From 3/4" To 13/16" Includes (1) Extra Foam Cleaning Head Now you can throw away the make-shift sticks and rags you've used for years to clean recessed lug nut wheels. This tool is a "must have" for every auto enthusiast who wants to detail their wheels perfectly and with the least amount of time and effort. Simply add a little soap and water to the brush, push it over the lug, twist it with the easy-to-use T-handle and your car's lug nuts and wheel cavities will look like new in seconds. Order one for you and one for your buddy today!